Welcome to this Sacred Crystal Grove. On this magical site you will find treasures from Mother Earth, all specially curated by Vero. We are honored that you have joined us on this part of your journey and we value the trust you put in us when you purchase crystals here - we know how difficult it is to buy online - and we give you our word that we will choose on your behalf with only pure intentions to serve you. Labradorite Palm Stones - Every one has fire! Some blue, some gold, some green - All GORGEOUS! If you are a healer, a speaker, a teacher - or someone who gives of themselves to others for a living or just in life - Labradorite is the stone for you! Labradorite will keep your energy field from being depleted when it seems that others just take and take of the energy that you so generously give - and they leave you worn out! Let Labradorite help. He will fill your field and keep the takers at bay - you still get to help, they just don't get to drain you in the process. Boundaries! **You will receive a Labradorite Palm Stone similar to the ones pictured - though it may not be that exact stone. Every stone is chosen by Vero for you and you will get the stone that she is guided to send. Choosing a crystal on the internet is an exercise in trusting the universe - Thank you for trusting us on this journey with you. Labradorite is known as a stone of magic and protection, as he has many uses in both. The Inuit People saw Labradorite as descending from the heavens - a stone of the Aurora Borealis - bringing the magical fire from the sky to the Earth. This frozen fire was thought to have mystical powers that aided in opening psychic abilities - a quality that Labradorite is still called upon for. They thought of Labradorite as frozen fire because he is known for an iridescence that seems to come from within, like an inner flame. This iridescence is actually what is called Adularescence - which is, simply speaking, a more specific word for the type of iridescence - the color play that seems to come from within that disappears as you move the stone. This quality is also known as the Schiller effect - Schiller being a German word for “color play”. And the color play of Labradorite ranges from blue to gold to purple to green and can be an amazing partner for meditation as you can stare at him see new things in him all the time. When you ask him a question, you can turn him and find answers woven into the fabric of his beautiful being. And though the Inuits thought he rained down from the stars as frozen fire, he actually comes from deep in the earth. He is a deep earth crystal formed by pressure and found in many regions, not just Labrador, the region in Canada for which it is named. (Though he is sometimes called Spectrolite.) . A large deposit of Labradorite was found near the Earth’s surface in the Appalachian Mountain Range, thought to have risen with the tectonic plates of the Earth that pushed together to form the mountain range so many many moons ago. He is a valuable ally of mine and I carry him with me often, especially when I am working in one of my stores or on the road at an event where I am speaking to groups of people. And I think he will be a valuable ally to you as well - for the same reason I call upon him. As a person who is open and available to others, there are times when others latch on to that energy and that latch can be draining. Some call that an “Energy Vampire”, but I call it being a human in need. Often those who are “Vampires” have no idea they are latching on, but they lack the energy that is being given and they try to drink up as much as they can when they are around someone who gives. This can be very draining of one’s personal energy and leave one feeling tired and lethargic. Labradorite acts as a fortifier of the energy field, allowing one to give - even to those who take and take and take - yet the energy field remains intact. This fortifying of the energy field allows one to better connect to higher spiritual planes to awaken one’s intuition opening portals to telepathy, clairvoyance and the day to day magic of manifesting and controlling the seeming coincidences of life. This is a stone to work with daily and over time to truly grow in tune with his magic. I suggest wearing Labradorite on your person, whether as jewelry or in your pocket as a touchstone for a full season to begin to comprehend his magic. These stones are about 2”- 3” and make excellent display pieces or palm stones. The Bodhi Tree (pronounced /BŌ' DĒ/) is dedicated to embracing and respecting all cultures. We find we align with the ideals of many of the worlds spiritual practices. This leads us to our passion for helping others who may be struggling, not identifying with their own divinity, or that part of them that is connected to God or Spirit or whichever name you choose. We choose to use the Earth energy of the crystals to assist in enlightenment - and we respect the many paths to "Heaven" or "Nirvana" without judgement. We are passionate about encouraging our clients and friends to explore their spirituality to find whatever method works for them to connect to that divine spark within, that spark that gives us hope that we as humans can connect as one tribe and bring a peace to this planet. We also believe that spiritual discovery and the discovery of a personal path to health go hand in hand. We encourage holistic wellness and are always looking for new ways and new options to give to our clients and friends in the area of health and wellness. And last but not least, we love to have fun. We believe in celebrating this life. "The Sacred Living Movement is about inhaling the Beauty of Life! Vero Bero is Owner of The Bodhi Tree, A Crystal Shop and Open Spirituality Center. At The Bodhi Tree she teaches her clients that we are all the Shaman of our own experience, divine beings connected to all that is. She teaches that Crystals are the Earths tools and gifts, given to us by divine right to aid in our progression and on this life path. 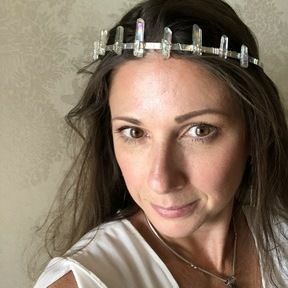 She is passionate about encouraging her clients and friends to explore their spirituality to find whatever method works for them to connect to that divine spark within, that spark that gives us hope that we as humans can connect as one tribe and bring a peace to this planet. She also believes that spiritual discovery and the discovery of a personal path to health go hand in hand. She encourages holistic wellness and is always looking at new directions in the area of health and wellness to share. She is also actively involved in the Sacred Living Movement leading their Crystal Education courses and retreats. She is the Sacred Crystal Keeper and encourages all to live a Sacred Life and bring beauty into all that we do. She has been featured in magazines such as Newsweek’s Spiritual Living Issue and Event Bookmagazine’s Book of Miracles and is editor of The Bodhi Tree’s own Magazine, Bodhi. Vero takes on her name, which means Truth in many languages, and works diligently to stand for all light with her Life Partner and Bodhi Tree Co-Owner Brad Middleton. She is also an Ordained Minister, a Spiritual Advisor, a Red Drum Carrier, a Reiki Practitioner, a Crystal Healer, a Writer, a Mother to the incredible Phoenix Rose, a Shaman, a Priestess, a Free Spirit, a Traveling Sister, a Friend, a Goddess, a Dancer, a Speaker, an Angel, (a lil’ bit devil), and a Moderate Housekeeper (because, in her own words, there are so many other things to do with one’s time). With 6 locations in Florida there may be one near you! 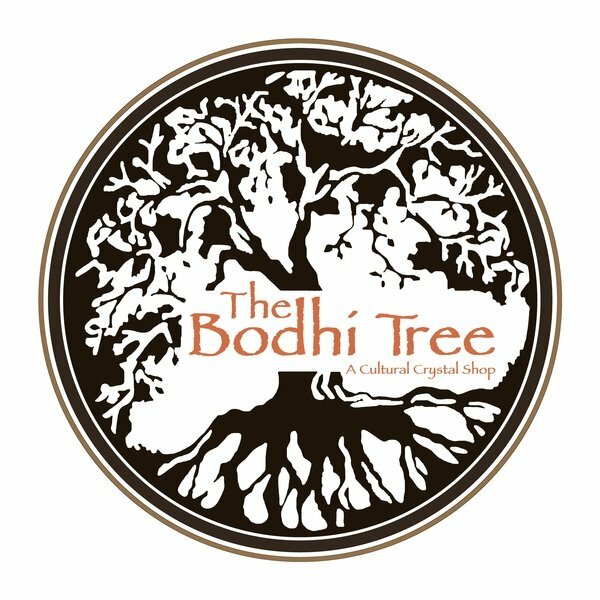 Bodhi Tree Shops can be found in Tallahassee, FL at Governor's Square, Gainesville, FL at The Oaks, Tampa, FL at Citrus Park Mall, Port Richey, FL at Gulf View Mall, Pensacola, FL at the Cordova Mall and in Clearwater at Countryside Mall. 12 p.m - 6 p.m.